Enter your email address below and we'll send you weekly specials offered at BuyLamination.com. 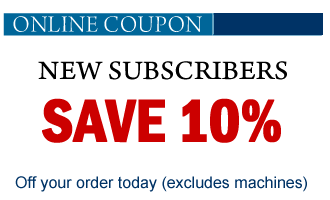 A coupon code worth 10% will be emailed to your email address entered below to use today. If you have already signed up to receive coupons from our site, you will receive them by email on Tuesdays each week.